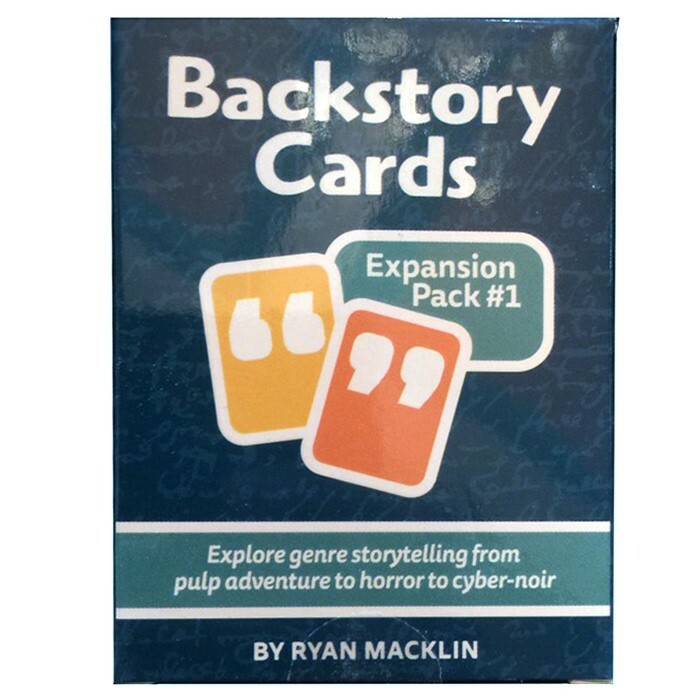 This deck of prompts collects the first three Backstory Cards expansions: Explore the pulp-tastic realm of space opera adventures with Distant Worlds. Uncover hardboiled noir, spy thriller, and cyberpunk plots with the Wicked Shadows expansion. And seek the macabre with Unseen Threats.